Well, surprising news came from Memebox today. On their Facebook, they announced they will only serve countries where they have local offices. So that means, starting February 11th, Memebox will only ship to USA, China and Korea. The other countries they currently serve will only have until February 10th to place their last orders. After that, it's so long, goodbye and good luck to the rest of the world! It's disappointing news to say the least. 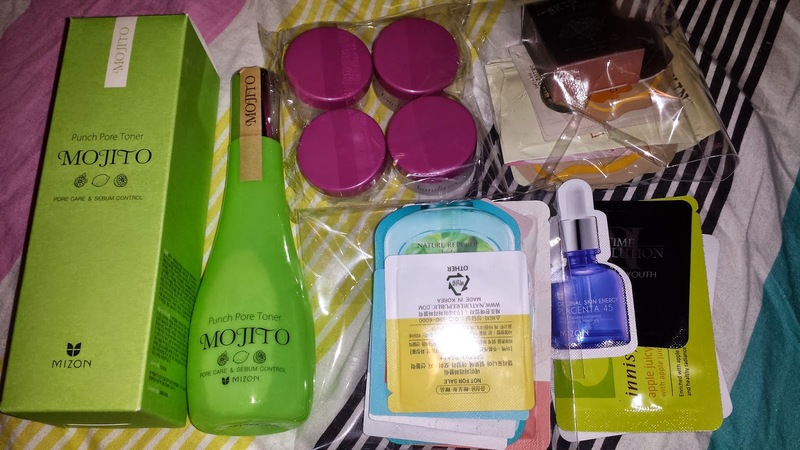 Memebox was the easiest and best way to get started in Korean skincare. It was so easy to pick a theme, and have someone else pick out items for you to try. There were hits and misses. Lately it's been more misses than not, but it was a fun experience. I sunk a lot more money into Memebox in the last 6 months than I have ever spent on skincare in my whole life. So you can say I really liked Memebox. Though to be honest, my level of purchase has dropped significantly since I started to receive really disappointing boxes. I think I only bought 4 boxes since November and only one was paid with money. I am sad I no longer have the option to get a mystery skincare box from Memebox but I can't say I am extremely upset over it. I have been shaking my head at them since October and hence the unintentional low buy. Their quality has gone down, the number of items has gone down, yet their prices has gone up significantly. They do not communicate any changes with their customers. Especially the lack of communication regarding the lack of boxes. Breaking down the Cutie Pie Marzia #2 box and stuffing it in the boxes, ie My Cute Wishlist #4, K-Style #4. This did not go well with those with K-style #4. Seriously, if we wanted CPM #2, which was sold unboxed, we would have bought it months ago instead of having 2-3 items in our new boxes. Sending out boxes that are clearly warehouse clear out instead of matching the theme. I been fortunate not to buy most of them. But I did get a couple of items that expires soon. 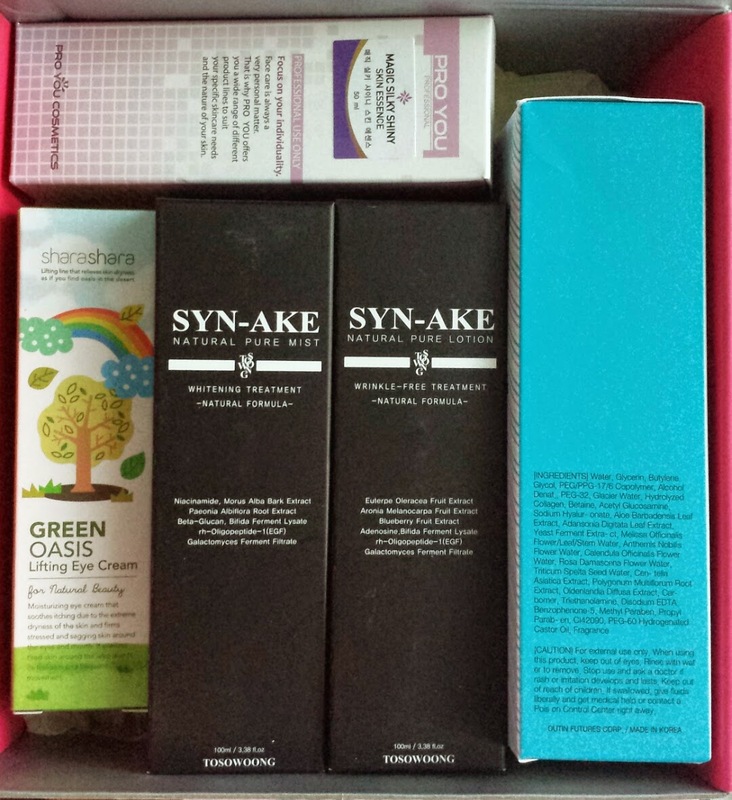 Namely the A.H.C serums and the Shara Shara balms. Not cool, because I, among others, don't appreciate being forced to switch our routines to use up the expired items first. Pushing out Memebox's own brand items when customers has been asking for more boxes and ignoring it. I have heard the products are pretty good, but the fact that they decided to push their own products without any new boxes or communications regarding it. It makes me really bitter toward the Memebox products and would not spend a dollar towards it. Misleading advertising. Advertising a big box party with boxes that never showed up. Or advertising free shipping when the items had an extra $7 added into it. The laughable VIP program and incentives. The perks used to be so great and now it's dwindled down to 3 US only coupons and 1 international coupon. Changes to the affiliate codes. It used to be $5 off any balance, now it's $3 off orders above $30. Oh,let's not forget the restocks at middle of the night instead of stacking it so people around the world would not miss out on deals. Or holding a box in a customer's cart so they can successfully check out without the fear of losing out on it. Instead of trying to remedy these problems in order to retain customers. Memebox decided to stop shipping internationally and lose a majority of their revenue. This is basically against everything I learned! It makes no sense to ignore customers and make them angry. It makes no sense to keep the company away from a source of profit. From what I heard, US customers are ordering from the international shops as the deals are better. So I wonder how Memebox US will do financially without the support of the international customesr. I am sad I am parting ways with Memebox, though that just allows me to spend my money at new shops. So.. Thank you for the good times Memebox. I am glad you initiated the break up so I don't have to be the bad guy. I don't wish for you to fail as a business, in fact, I wish for you to thrive as a business. But you are doing everything to drive your business to the grounds. So I wish you luck in your future adventures and know that I will be not be back once you are ready to offer international shipping again. Back in December, Sasa had a no limit free shipping deal. I couldn't resist such a good deal! 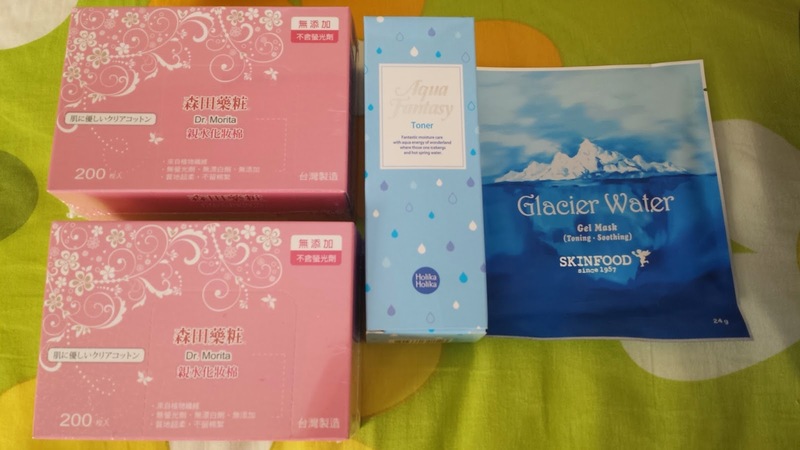 I ordered 4 items for just under $20 USD. It was a great deal but the shipping was atrocious. I ordered from them before and it always shipped out quickly and from Hong Kong. However, this time, it shipped out from Singapore. Nothing against Singapore but it just took so much longer than before. I placed the order of December 5th, and by 10th, I could not access my orders tab and no further communications from the company. I emailed for help so I could access my previous orders but they just replied back saying there are delays and to be patient. Um.. That wasn't my question.. Anyways, after I sent the email, the package was sent out on the 12th. It took a three days before the tracking number was recognized by Canada Post and was shipped out. I did not receive the order until New Years Eve. That is 26 days from order to receiving. kind of long for such a small order. We had our company Christmas party at Chateau Lake Louise in lieu of a bonus. While I really would've preferred cold hard cash, I really appreciated the experience. Back in December. 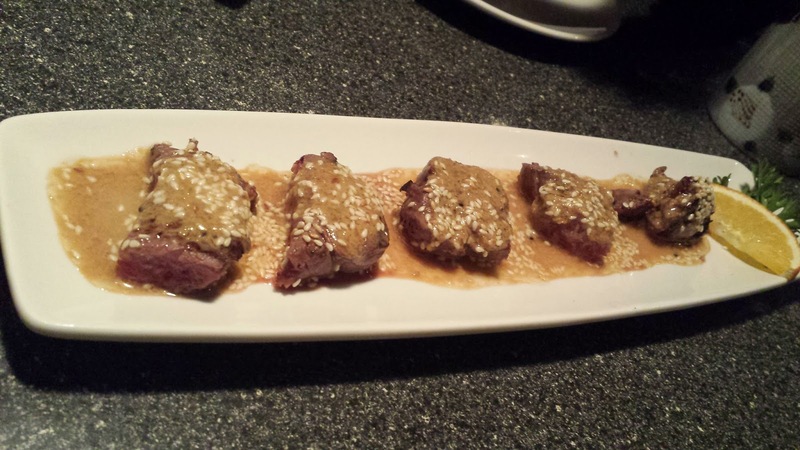 my friend and I decide do to go to Sakana Grill to celebrate her finally finding a job! Since we used to go there for the love boat, we decided to try ordering something from their menu instead. It was a pretty good decision! 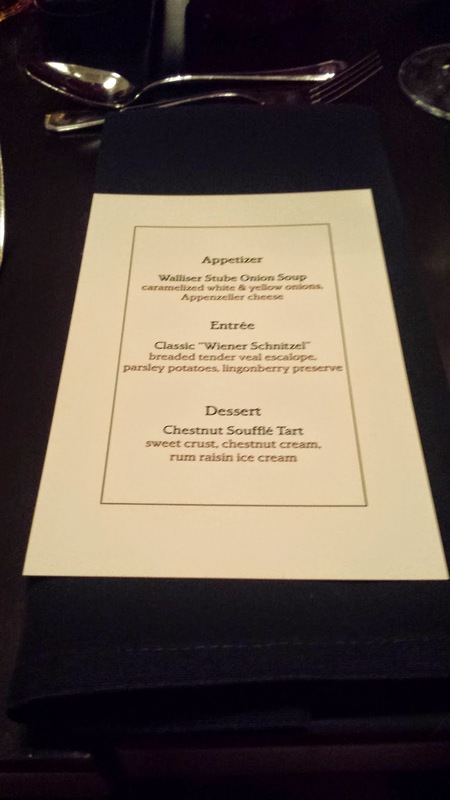 This is a super belated food post.. Oops.. 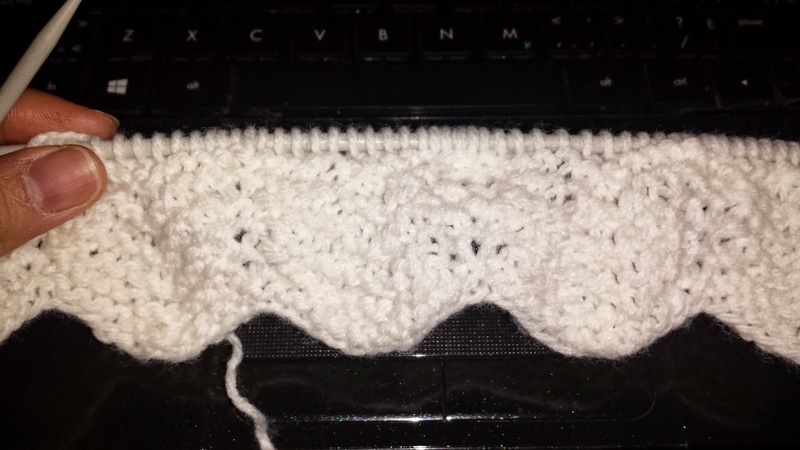 I been meaning to do it but then got caught up with my Memebox posts and then been knitting. Finally remember to do it now but I don't really recognize the food.. Dumb move I know..
Anyways.. Back on subject. Back in November, my friend and his fiancee came down to visit family and moi in cowtown. Another friend just moved back from Vancouver so we decided to have brunch at Crepes & Cravings at 17th Ave. We chose the place as it had a high rating on Urban Spoon and it was a central location for all of us... I was from the deep south and they were from the deep North. 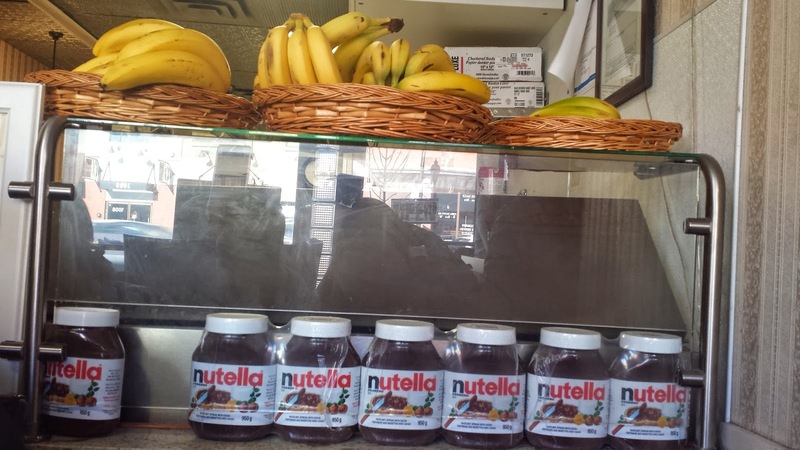 Look at the giant jars of Nutella!!! I bought two big balls of Bernat Baby Blanket yarn and was going to use Purlbee's Chevron baby blanket pattern to make a warm blanket for my new place. This is my new goal for 2015 and I really hope I finish it before I move. 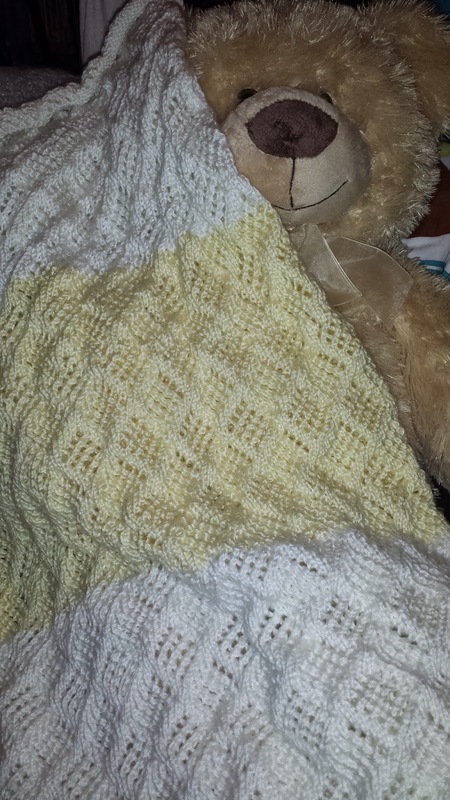 Now all the beauty posts are done, I can finally post about the knitting I completed. I like to jump between projects depending on my mood, so it takes me a while to finish something. Well, I finally finished two of them! I did a mini haul at RoseRoseShop as I found the cutest Etude House hand creams with protruding feet and removable shoes. 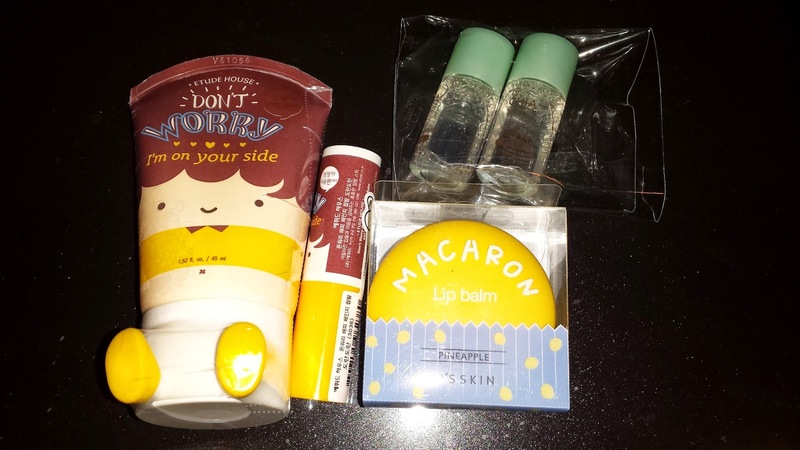 I tried to do it for my TesterKorea haul but unfortunately the lip balm was not available. So I decided to go with RoseRoseShop. 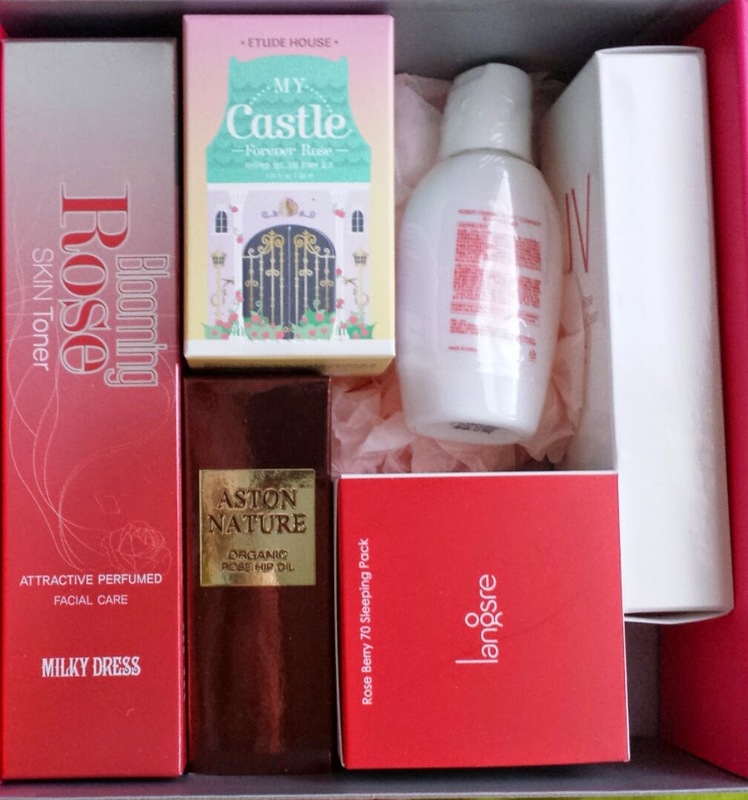 So I was bored and didn't have anything buy from Memebox so I decided to buy from RoseRoseshop and its free shipping items. They have quite a few Mizon products under free shipping, you just have to pay $2.50 tracking fee. It is a very good deal. I saved the best box for the last! I received the Rose Edition quite a while ago but I decided to save it as it is my absolute favourite box. It would be the best way to end my Memebox collection. I don't have any more boxes coming in. This is the last Memebox I received, but I still got one last box to review. I am saving my favourite for the last. The Brighten & Correct was $23 + 6.99 shipping. It contains 5 items, including another serum that is due to expire within a year. Can't believe it! Memebox is already a year old! I came to the game too late, so I thought I HAD to get the anniversary box to celebrate their first year anniversary! The box was $29 + 6.99 shipping. The box took a while to get to me but I am glad to receive it before Christmas. I have to say, for an anniversary box, this is kind of a let down. 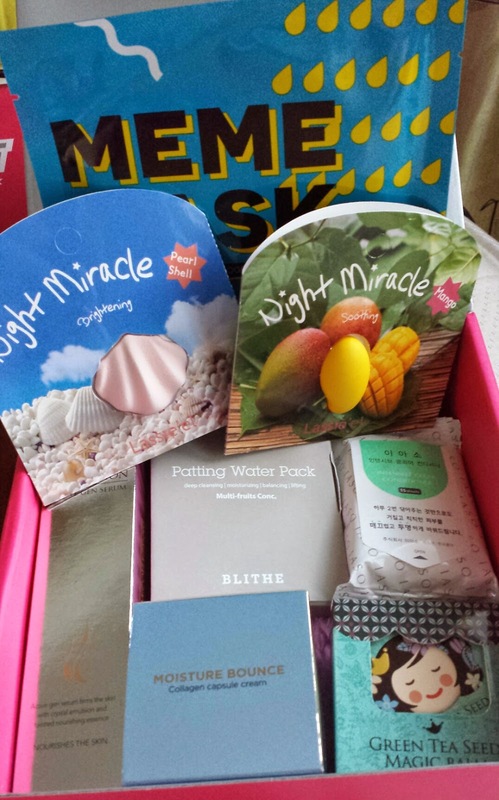 I would have thought Memebox would have curated a much better box than this. 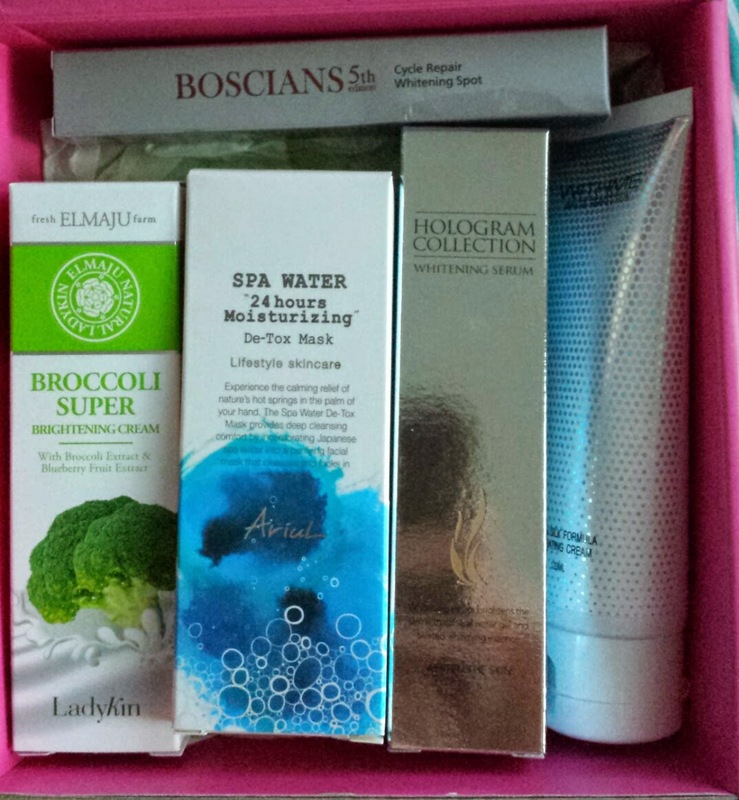 When Memebox released the Skincare Elixir box, I was excited as I just started to gather more skincare products. I have no ampoules or serums so I was really excited for an elixir box. The box was $32 + $6.99 shipping. It is definitely one of the expensive boxes and I had high hopes for the box. The actual box is quite heavy but... not exactly what I was expecting for an skincare elixir box. 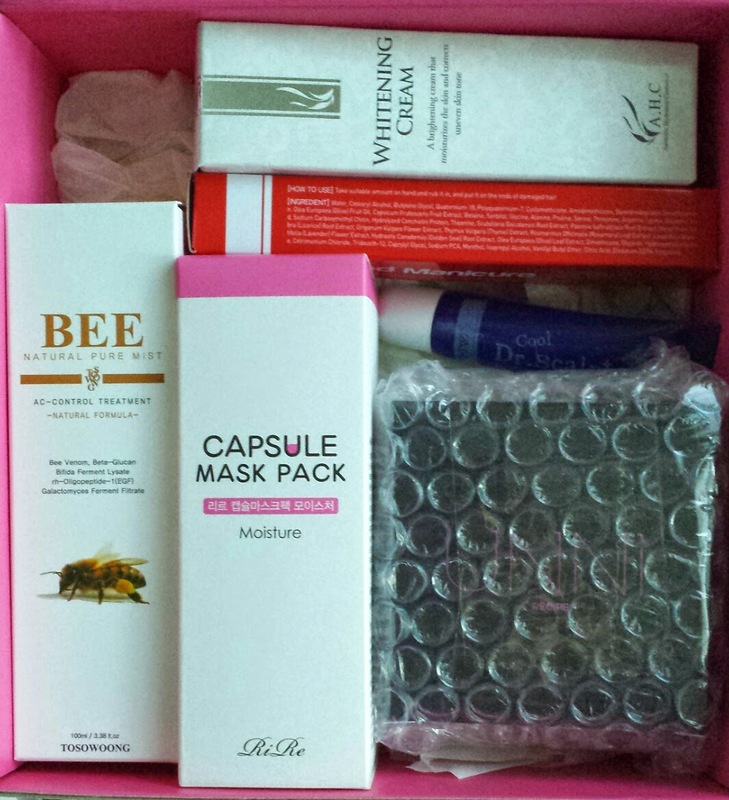 I love skincare boxes, that is pretty much why I started with Memebox. Well, that and cute items. So when they released the Next Best Thing box, I HAD to get it! The box was $23 + 6.99 shipping. It took forever to ship to me as it was sent to customs for inspection for a while. But I was very happy to receive it! It even included a Mememask as a bonus item! This is also one of the first boxes that comes with an electronic product card instead of a paper one.